We write on behalf of Lawyers’ Rights Watch Canada (LRWC), a committee of lawyers who promote human rights and the rule of law. LRWC is an NGO in Special Consultative Status with the Economic and Social Council (ECOSOC) of the United Nations (UN). LRWC is gravely concerned by threats made by United States (US) Secretary of State Mike Pompeo and US National Security Advisor John Bolton against the International Criminal Court (ICC). On 10 September 2018, Mr. Bolton made explicit threats against ICC judges, prosecutors, or personnel if they investigated war crimes alleged to have been committed by US military or intelligence personnel in Afghanistan, or war crimes allegedly committed by Israeli forces or other US allies. On 15 March 2019, Mr. Pompeo uttered threats against the ICC and announced a policy to deny and revoke US visas for ICC personnel who investigate suspected crimes by US nationals. Mr. Pompeo stated that this policy may also be extended to ICC investigations into suspected crimes by Israeli or other allied personnel. These threats are explicitly aimed at intimidating the Court and deterring its legitimate investigations into matters within its jurisdiction, including war crimes, crimes against humanity, genocide, and the crime of aggression. The threats constitute a dangerous assault on the independence of the judiciary and on international human rights law, international humanitarian law, and the rule of law. The 1948 Universal Declaration of Human Rights describes the rule of law as essential to ensuring rights, the recognition of which is the “foundation of freedom, justice and peace in the world.” The maintenance of the rule of law internationally depends on all States and all international organizations upholding it in clear and robust ways. LRWC joins the UN Special Rapporteurs and others in deploring the US threats against the ICC. 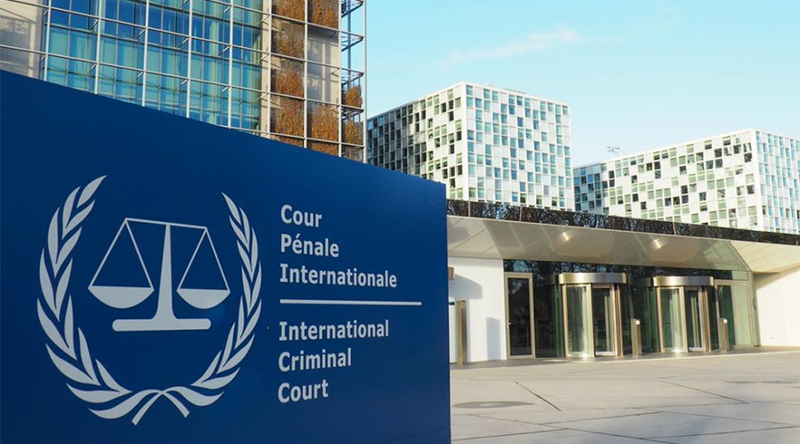 We urge all States, particularly States Parties to the Rome Statute of the ICC, to urgently denounce the US effort to intimidate ICC judges, prosecutors, and staff in attempts to prevent them from impartially and independently performing their duties under the Rome Statute. We look forward to hearing from you as to Canada’s actions on this important matter. Full text of John Bolton’s speech to the Federalist Society, TravelWireNews, 10 September 2018, available at: https://travelwirenews.com/full-text-of-john-boltons-speech-to-the-federalist-society-1084024/. Michael R. Pompeo, Secretary of State, Remarks to the Press, 15 March 2019, available at: https://www.state.gov/secretary/remarks/2019/03/290394.htm. Office of the UN High Commissioner for Human Rights, “US ‘threats’ against International Criminal Court must stop, say UN experts,” 22 March 2019, available at: https://www.ohchr.org/EN/NewsEvents/Pages/DisplayNews.aspx?NewsID=24392&LangID=E. UN General Assembly, Rome Statute of the International Criminal Court, 17 July 1998, entered into force 1 July 2012. There are currently 122 State Parties to the Statute and 36 States have ratified the Crime of Aggression Amendment.